Stay with us and we guarantee the best accommodation than ever. 5 minutes walk from St. Mark square, 3 minutes walk from Arsenale, 5 minutes walk from the Giardini. We are pleased to welcome you in our beautiful city. 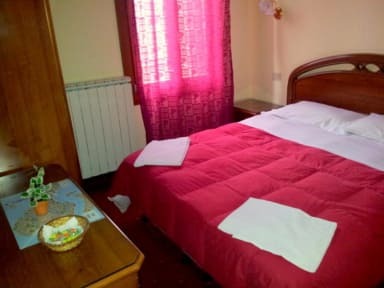 Hotel Casa Linger is a one star category hotel (real Budget hotel) situated in the heart of the city centre, just minutes from San Marco Square. Location in Venice is very very important! That's mean they are milles away from the City center ! That's mean you will need a taxi to get there (please added 20/30 euros cost) and then to come to the old City center that's mean another Taxi or Bus... that's mean other money ! and then once arrive in Piazzale Roma (last point where cars and bus can arrive) you should take a water bus to the City Center cost 7.5 euro one way per person! Please doing 2 calculs and then decide where to stay... and really save money!! Hotel Casa Linger is situated in the Heart of the City Center, just minutes away from the beautiful San Marco Square and Rialto bridge, moreover we are in a strategic location to get Art Biennale Exposition. We offer Perfect rooms at perfect prices! Some rooms are furnished in Venetian Style, we offer rooms with private WC and without. 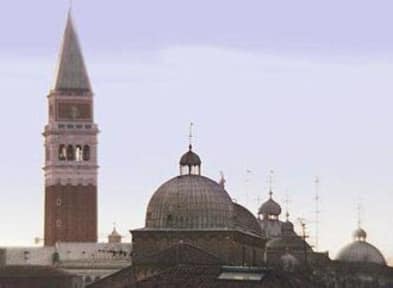 Staff are very friendly and will help you spend a relaxing time in the beautiful city of Venice. We guarantee you a good time! check-in is from 14:00 pm to 23.00 pm if you check after 23.00 pm you have to pay extra 10EUR per h.
If you arrive later than 11.00 p.m. you will have to pay a late check in fee of 10,00€ for each hour of delay. PLEASE SEND AN EMAIL SPECIFYING THE TIME OF ARRIVAL.